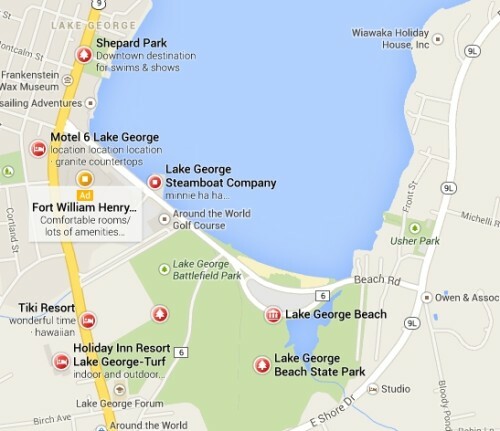 The final design plans to relocate and upgrade the Lake George Beach Boat Launch are completed New York State Department of Environmental Conservation (DEC) Regional Director Robert Stegemann announced today. The boat launch is part of a two-year project to improve the roads, parking lots and access to DEC’s Lake George Beach Area – aka Million Dollar Beach. Improvements to the roads and parking lots through the use of porous asphalt and other stormwater management features will also protect the water quality of Lake George. The sidewalk along the beach will be upgraded increasing safety, convenience and attractiveness for pedestrians. A boat wash station is planned for the boat launch that will provide further protection for the lake. DEC held a number of meetings with local officials and residents. In response to the concerns expressed at these meetings and in other communications, DEC undertook a second review of the boat launch project and made changes to the plan. The second review included sampling lake depth out from and along the whole stretch of Lake George Beach. The boat launch will not operate 24 hours a day during the busy summer boating season. DEC’s decision to relocate and upgrade the boat launch so that boats can be launched and retrieved throughout the boating season is based on earlier studies that found boaters and local officials wanted additional public access to Lake George and boater’s usage of the southeastern basin of the Lake was far below “comfortable carrying capacity.” The 25-boat capacity planned for the boat launch will not exceed the “comfortable carrying capacity” for that portion of the lake. Governor Cuomo’s NY Open for Hunting and Fishing Initiative is an effort to improve recreational activities for in-state and out-of-state sportsmen and sportswomen and to boost tourism opportunities throughout the state. This initiative includes the streamlining of hunting and fishing licensing and reducing license fees, improved access for fishing at various sites across the state, and increasing hunting opportunities in various regions. In his 2014 Executive Budget, Governor Cuomo proposed creating 50 new land access projects. These projects will connect hunters, anglers, bird watchers and others who enjoy the outdoors to more than 380,000 acres of existing state and easement lands that have gone untapped until now. These 50 new access projects include building new boat launches, installing new hunting blinds and building new trails and parking areas. The Ausable Point Day Use Area, which includes a large swimming beach and picnic pavilion, is now open to the public the New York State Department of Environmental Conservation announced today. The adjoining campground remains closed as DEC continues repair work. DEC plans to have the campground at least partially opened by Friday, July 15. The day use area, campground and access road were underwater for almost two months during the historic flooding of Lake Champlain. The waters and waters caused extensive erosion and other damage. The Ausable Point Campground and Day Use Area and the adjacent Ausable Point Wildlife Management Area were inaccessible during this period. Once the water levels receded below flood stage, DEC staff began clean up and repair of flood damage on the road, the campground, beach and other facilities. The fee to enter the day use area is only $8.00 per car.